Did you know that SOMA stands for Stouts, Outstanding Malts, and Ales? No? Well, maybe that's because it doesn't -- but after this tour you'll think that that's what it should stand for! This incredible SOMA Beer Crawl is a tour-party combo, where you'll receive both a craft beer education and many generous samples of unique local beer! 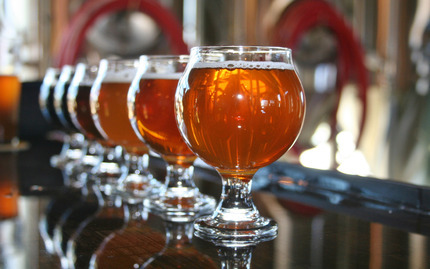 On the tour you'll visit at least three breweries and tap rooms. You'll learn about their contributions to the craft beer scene, the inspiration behind the beers, and what goes into the beer-making process. As you pass from one tap room to another, your guide will vividly describe SOMA's entertaining past, including its brewing history. Along the way you'll make new friends, learn about the area, get a little tipsy, and have a ton of fun! Join the fun and raise a glass! Note: Must be 21 years old or older to participate. You may cancel up to 48 hours before the start of your tour for a full refund. After this, the money is non-refundable.